The first third of the film adaptation of TV’s Baywatch seems designed chiefly to show off how impressive Dwayne “The Rock” Johnson’s calves are. Admittedly, they do look like two bowling balls suspended in mid-air between his ankles and his knees. THIS remarkable feat of anatomy, however, does not a great movie make. Directed by Seth Gordon (um … Identity Thief), the film aspires to the same pop culture meta lunacy of 21 Jump Street, Charlie’s Angels, or The Brady Bunch Movie. Unfortunately, the proceedings are saddled with a pedestrian script that is more paint-by-numbers Beverly Hills Cop III than off-the-charts self-referential foolishness. And that’s a shame, as Gordon has assembled a cast that could sell hyperbole to President Trump. Johnson and Zac Efron are an ADORABLE comedic couple, and they deserve MUCH better material (see: Russell Crowe and Ryan Gosling in The Nice Guys). Their repartee (not to mention gleaming teeth and pneumatic abs) powers through the pedestrian material (drug cartel, half-baked political shenanigans, police corruption) to keep the audience entertained well beyond all reason. These two (playing overly ambitious California lifeguards who think their jobs involve after hours police work – cute idea) deserved such a better script, for their personal training regimen alone, not to mention the wit and wisdom both bring to just about any project. The supporting cast is a hoot too: Priyanka Chopra, preening and prancing as the underdeveloped “big bad;” Kelly Rohrbach more self-aware than required as the Pamela Anderson-comic relief; Alexandra Daddario (whose eyes could pierce concrete blocks) as Efron’s infinitely wiser love interest; Ilfenesh Hadera as The Rock’s endlessly patient lieutenant; and Jon Bass as the exuberant schlub who has somehow been asked to join their hard-bodied lifeguarding team. Damn, but I wish they had all had a thoughtfully designed script. Hell, any script. I was entertained for 90 minutes, but I’ve completely forgotten already what plot if any existed. I remember Zac Efron’s highlighted hair and his Malibu Ken physique. I will never forget Dwayne Johnson’s megawatt smile shining beneath the tumultuous waves as he rescued one woebegone Cali beach swimmer after another. But the plot? That has already escaped my brain, even as I type. Will you have a good time watching this cinematic Baywatch? Of course, you will. It’s the same mindless idiocy of the 1990s syndicated TV hit (David Hasselhoff even puts in yet ANOTHER unnecessary summer ’17 film appearance) with a heaping, helping of post-millennial wink-and-nod camp. I just wish the filmmakers had taken … oh, I don’t know … ten extra minutes? … to devise plot and dialogue that gave Johnson and Efron something to do with all the charisma (and biceps) that they have in spades. Would anybody like to stage Sam Shepard’s True West with two charmingly steroidal hunks? If so, I think I have your duo. As one cast member (I can’t recall who now for the life of me) notes to Efron’s dim bulb former-Olympian character (a la Ryan Lochte), “Thank God you’re pretty.” Indeed. I daresay we see too many Zac Efron movies in our household (evidence here and here and here). Perhaps an intervention is required. His cinematic output is not exactly transcendent, but it ain’t bad either. Efron has become the poster boy for pleasant-diversion, middlebrow-comedy, derivative filmmaking. And I suspect it’s a lucrative and easy life, with just an inordinate number of sit-ups and bench-presses required. But here we are. Mike and Dave Need Wedding Dates. We saw it, ‘Murica, in a need to go see something stupid and funny and palate-cleansing after a busy theatre month. And it did the trick. Based on a hyperbolic “true story” as can only exist in post-millennial internet-obsessed America, Mike and Dave tells the story of the Stangle Bros, puckish siblings locked in a self-destructive cycle of privilege, self-absorption, and arrested development. You see, these boys, as played by Efron and Pitch Perfect‘s Adam DeVine are sawed-off li’l Hollister-wearing muscle jocks whose daily life is spent in package liquor sales and whose evenings are occupied trying to make family gatherings more fun through a healthy heaping of fireworks, chemical influence, and general mayhem. We all know these guys. They view themselves as not just the “life of the party” but the party itself, not realizing they leave scorched earth, tears, and exhaustion in their wake – their pursuit of spontaneity at all costs actually driving everyone in their orbit into increasingly rigid anxiety. The film sets this up in a clever way with an opening credits montage demonstrating the Stangle Bros’ “fun” like a glammed up highlights reel from the Jackass television show, juxtaposed later in the film with a grainy, home-movie montage showing what really happened. The boys’ beloved sister Jeanie (Sugar Lyn Beard, a comic elf with nitroglycerine in her veins … hope she gets more work!) is getting married in one of those cost-prohibitive, vulgar “destination weddings” only seen in film … or on Facebook. Given the brothers’ propensity to ruin everything, Jeanie, her fiance (Sam Richardson, a wry and reserved powder-keg), and parents (the always dependable Stephen Root and Stephanie Faracy) insist that Mike and Dave bring actual dates to this event, under the false assumption that having women to “monitor” their foolish impulses will make any difference at all. Of course, this being the world in which we now live, Mike and Dave post an ad on CraigsList (nothing bad ever happens via CraigsList, eh? ), and a pair of lightning rods Alice and Tatiana answer the call (chiefly because they want the free trip to Hawaii). Into the Woods‘ Anna Kendrick (as Alice) and Parks and Recreation‘s Aubrey Plaza (as Tatiana) are dynamite. I don’t think I could (or should) go so far as to suggest this trifle of a movie is feminist, but the way these two rip up the screen and any shred of dignity the brothers have left is a sight to behold. Needless to say, they do not take to their roles as “baby-sitters” and proceed to demolish the nuptials in ways the boys could only dream about. Plaza particularly is a revelation, her banjo eyes and sardonic delivery bespeaking a world of hurt that someone so young should not yet have experienced. And don’t get me wrong, there is no poignancy in Mike and Dave Need Wedding Dates – like zero, like no attempt even made – but Plaza (and Kendrick too) do great work beyond the thin confines of the script to represent fully developed if utterly misdirected minds onscreen, giving the film a lift and, dare I say, import that is likely 100% accidental. There are about three cringe-worthy scenes, the kind which always seem to be plopped into these enterprises solely to create Tweet-worthy shock value, all easily excised when aired on TBS in two years. Just muddle through those sequences, and focus on the sparkle at play between Plaza and Kendrick and the way their work enhances and critiques the more heavy-handed bro-comedy of, say, DeVine, in particular. Efron remains a cipher in his own film, and I think that’s a conscious decision on his part. He is funniest in befuddled observation, and he has a lot of that to do here. Now, if only Hollywood had been brave enough to make Alice and Tatiana DON’T Need Wedding Dates. I’d RSVP for that. What are the odds that two movies in a row, which we’ve viewed over Labor Day weekend, are about failed and/or struggling musicians trapped in a pop-rock Ragnarok in the San Ferndando Valley?!?! Is the dusty, dingy Valley the new cinematic shorthand for a career in retrograde? Last night, we suffered through Zac Efron suffering as pretty boy DJ with no club to call home in We Are Your Friends. 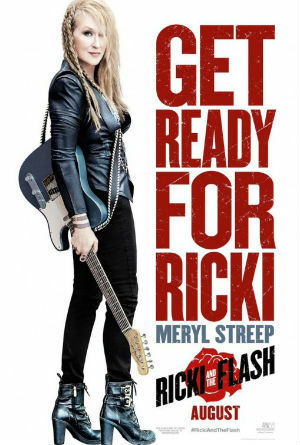 And tonight in Ricki and the Flash, Meryl Streep (!) channels her inner Joan Jett as a rocker who flees her Hoosier home in pursuit of guitar god glory in the City of Angels, achieving neither top 40 success nor familial respect in the tortuous/torturous process. Directed by Jonathan Demme (Silence of the Lambs, Philadelphia), Streep’s is the better film, though by a narrow margin (believe it or not – both flicks are worthwhile and an interesting double feature). As a rock star, Streep with her bizarre hair braids and unconvincing tattoos is about as believable as I would be playing, say, Axl Rose. As a failed rock star, whose abject heartbreak and hand-to-mouth hardscrabble anxiety are telegraphed in every blink of her limpid eyes and whose well-heeled Indianapolis-based family has given her the “Hoosier Hospitality” cold shoulder for their perceived abandonment by her decades earlier, she is pure movie gold. In another era, the sudsy plot – with a side of Freudian mama bashing – would have been a B-movie tear-jerking barn-stormer for a Susan Hayward or a Bette Davis. A mother flies the coop on her three beatific babies and their hunky nebulously-though-fruitfully employed businessman papa (as played by Kevin Kline … who seems trapped in celluloid Indiana … wasn’t In & Out set in Greencastle of all places?). She lives in bohemian filth, playing nightly gigs at a sad-sack bar for the same half-dozen patrons, including a moony-eyed barkeep with a heart of gold. She loves/hates/loves the bassist in her band (a surprisingly charming and heartfelt Rick Springfield), and, one day, when her daughter’s husband walks out on her the way the mama had walked out on the family years prior, our heroine heads back to Indiana to set things right with her broken brood. However, Demme and Streep both acknowledge they aren’t working with the deepest narrative here, and they bring their A-game, supported by an exceptional ensemble, that also includes a luminous Audra McDonald as Kline’s second wife, a clear-eyed feminist in Yuppie dragon lady clothing. Her limited scenes with Streep crackle with the energy of two women (in life and onscreen) who have fought and lost and won an endless series of skirmishes in ‘Murica’s ongoing gender wars. I would like an entire movie of the two of them just talking … or reading the phone book … or smacking stupid dudes upside their stupid heads. Streep’s real-life daughter Mamie Gummer acquits herself reasonably well alongside her mom. She doesn’t have Streep’s impish energy or insidious inner-life. Gummer is saddled with a lot of bed-headed moping in the movie, but her chiefest strength is in the quiet observation she brings to each scene. She has her mother’s presence but it is calibrated to silence as opposed to activity. Interesting to watch. The film resolves its central conflicts as you might expect – a little contrived and a lot predictable. Regardless, with Streep’s deft character work and that of her cast-mates, you are so invested in these mixed-up souls onscreen that, while you know exactly what’s coming, you can’t take your eyes away from the journey. The purest moment of unadulterated authenticity occurs early in the film’s final act when Streep stops her band in the middle of their set and appeals to the female patrons of the bar as to how crappy it can be to be a woman and a mother in this society. She rails against a world where you “miss one kid’s concert, one play and you’re an awful mother for life. Men? You can get away with anything…but not us.” This moment, in conjunction with her recent spicy turn as the Witch in Into the Woods, represents Streep’s zone – declaring hard-earned truth with passion and fury as a woman, as a parent, as a person. In part, she is singing to those who’ve judged her rightly and wrongly – her children, her former husband, his new wife, the snooty wedding guests – but ultimately she is (and always should be) singing for one person: herself. Someday Hollywood will figure out what to do with Zac Efron. He’s had success – obviously (High School Musical, Neighbors) – but he always seems to be nipping at the edges of super-stardom. A baby John Travolta or Tom Cruise, trapped in amber, all smoky pout, wounded charm, and barracuda ambition, but with nowhere terribly great to channel it. Heaven help us if he discovers Scientology. Sadly, We Are Your Friends, his latest gambit to cement leading man status has been dead-on-arrival at the box office and is now pegged as a dismal and historic failure. And that’s a shame because the movie ain’t half bad. It’s a bit of a paint-by-numbers affair, cribbing from so many “lost in the valley” (literal and figurative) films depicting an aspiring hustler from the wrong side of the tracks trying to make good by lurking around the darker side-alleys of pop culture, nightlife, and fame – see: Saturday Night Fever, Boogie Nights, 8Mile, Swingers, Magic Mike, Step Up (hell, 75% of Channing Tatum‘s filmography-to-date, qualifies in fact). In the case of We Are Your Friends, titled after the mid-aughts EDM hit by Justice vs. Simian, Efron and his collaborators, including director and co-screenwriter Max Joseph (Catfish), attempt to capitalize on the white-hot ascension of Southern California DJ-culture and said EDM (that would be “electronic dance music” to us fogies who used to call it, say, house or acid or techno or disco or … er … dance music). With a healthy expectation for audience members to suspend our disbelief, former Disney star Efron plays a scruffy San Fernando Valley ne’er-do-well whose days (and nights) are spent in a drug-addled, thumping-bass haze as he and his pals bounce from club to couch to club again. The script is an under-baked affair, wisely relying on Efron’s charisma (which he has in spades) to fill in the (many) gaps where a bit of character-development might have saved the day. Efron’s character Cole Carter (yeah, that name – trying a bit too hard for Cali cool guy chic, if you ask me) is an aspiring musician/producer/DJ with little direction and even fewer resources. In the kind of happenstance collision that only occurs in movies like this, Cole shares a cigarette with – and therefore befriends – world-class DJ (and jerk) James Reed (engagingly played by a glowering Wes Bentley, looking like Chris Evans’ sozzled, emaciated twin). James gives Cole some superficial tutelage (the EDM Obi-Wan Kenobi version of “write what you know” … which is “grab some weird sounds on your iPhone that you hear around your house and put them in a song”). During a drunken night in Vegas, Cole steals James’ girlfriend Sophie (Emily Ratajkowski of Gone Girl and Robin Thicke‘s “Blurred Lines” video – oy. ); James and Cole have an awkwardly staged fight in a bathroom stall; they stop speaking. Cole, consequently, loses a gig that would change his life; James and Cole make up; Cole finally takes his mentor’s advice and “hears the world”; they make up again. Cole performs said gig in front of an American Apparel warehouse (! ), offering a hypnotically existential “let’s recap everything you just saw with some flashbacks, looped beats, and smoldering glances from Mr. Efron” denouement, and all is right with the world, when Cole and Sophie reunite over pie at a vegan cafe where she is now waitressing. Whew. Try that with Mickey Rooney and Judy Garland! Efron almost single-handedly keeps the proceedings from running off the rails into soap opera schmaltz. His beautiful loser gravitas gave Neighbors some much needed spice; and the same is true for We Are Your Friends. 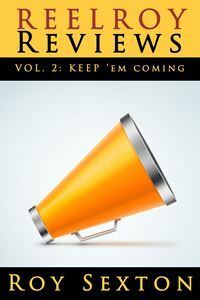 He is aided and abetted by an appealing group of misfits that trail around behind him. Shiloh Ferndandez, Alex Shaffer, and Jonny Weston play Cole’s bedraggled Valley Boys, as if Entourage were filmed in a Salvation Army somewhere. After a third-act tragedy strikes this merry band of get-rich-quick schemers, the young thespians do some of their best work in the flick. It’s not their fault that we’ve seen this coming-of-age-in-postmodern-sprawl a million times now and that it was already tired the first time Steven Soderbergh visited this dusty cinematic strip mall. I just wish these actors had a more-focused script with which to work, one that spent time developing the interpersonal dynamic beyond the dreamer/hothead/nerd/gigolo cyphers the actors are given to play. We Are Your Friends benefits from a game cast and a director (this is Max Joseph’s feature debut) who has a reasonably solid handle on pacing and visuals. (Joseph seems to be a Fight Club/David Fincher junkie as he has a lot of clever fun – nearly careening into self-indulgence – with rotoscoped animation, title cards, and subtitles.) Unfortunately, the script isn’t quite up-to-snuff, and a tighter job in editing would have likely helped as well. At one point in the film, Cole’s buddy Squirrel (as played by Alex Shaffer) asks, “Are we ever going to be better than this?” – a query which becomes a clarion call for the misbegotten generation depicted in the film. And this same question might be asked of Efron’s sputtering movie career, full as it is of such unrealized promise. Time will tell.